EECP aims to reduce family conflict and prevent the problems of suicidal behaviors and the effects of bullying, runaway, truancy and child abuse by helping youths and their families learn to resolve crises and develop coping and parenting skills. Education and support groups for parents and youth that include suicide support, stress management and how to recognize signs your child is being bullied. We strive to provide culturally relevant, trauma-informed, high-quality services in English and Spanish to youth and their families. Family involvement and participation is key. We focus on helping youth, young adults and families to resolve, cope and address suicidal behaviors including the affects and effects of bullying. When the family system is supported, greater changes can happen for youth and young adults. 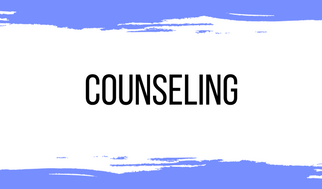 During the assessment, the therapist will make recommendations about the type of services needed, treatment plan needed, including who should be included in sessions. Affordable and accessible. We are committed to creating access to affordable mental health services and no one is turned away for inability to pay. As a provider site, we offer services at no fee to those who are un-insured. In addition, we have an adjustable sliding scale that slides to $0, depending on income and circumstances.